Circle Dental is based near the Trafford Centre in Stretford and is acknowledged as the best dentists in Manchester. We are proud to have been a finalist in The Dentistry Awards of 2014. Our mission is to provide the highest quality of care to our patients in a safe, convenient, and comfortable location. We are a small, friendly practice and we keep up to date with all of the latest technology, which enables us to offer a wide range of procedures so that our patients can enjoy the highest standards of dental health. One of the services we provide is whitening teeth in Manchester. In this internet age millions of photos are posted online every single day, and mobile phone cameras today are actually better in many instances than stand-alone cameras. So it is important to be able to have a great smile, and teeth whitening can help to achieve that. Our dentists are highly trained in teeth whitening and use a product called Boutique Whitening. This is a safe and effective procedure and can actually whiten teeth by seven shades, and sometimes more. Your teeth whitening can either be done in the surgery or it can be done overnight at home using special trays. If you do it at home your dentist will show you how to apply the gels. We will also take photos before you begin your treatment, and when you have finished it so that you can see how much your teeth have improved. If you are considering cosmetic veneers in Flixton, this is another area in which we are specialists. A dental veneer is a very thin layer of porcelain or tooth coloured material that is bonded to the surface of a tooth. 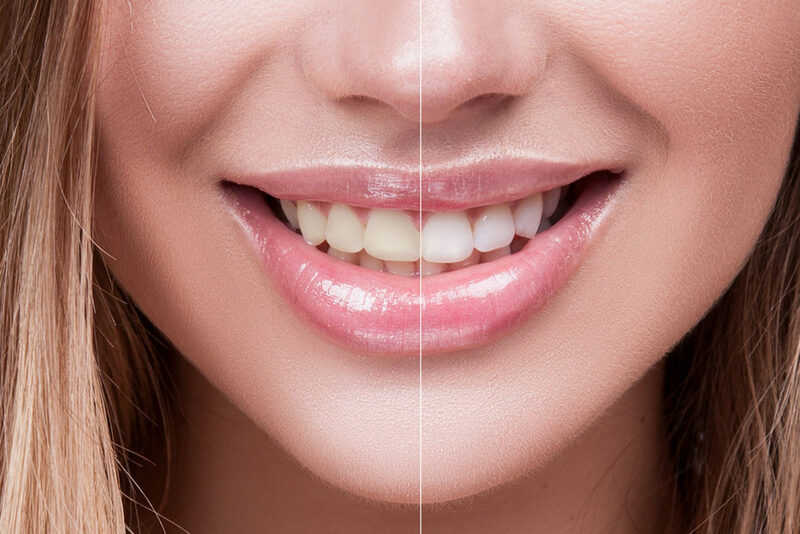 Our cosmetic veneers are outsourced and created by a team of specialist dental technicians. The result of using dental veneers is that teeth look completely natural and back to their original whiteness. It should be noted that dental cosmetic veneers are regarded as a cosmetic procedure and may not be able to be provided on the NHS except in special circumstances. Another service that we provide is dental implants. Teeth may be lost for a variety of reasons, and dental implants are the way forward in the 21st century. A titanium implant is inserted into the jawbone and a crown is placed on top which exactly matches the surrounding teeth. Dental implants function exactly like the original tooth.